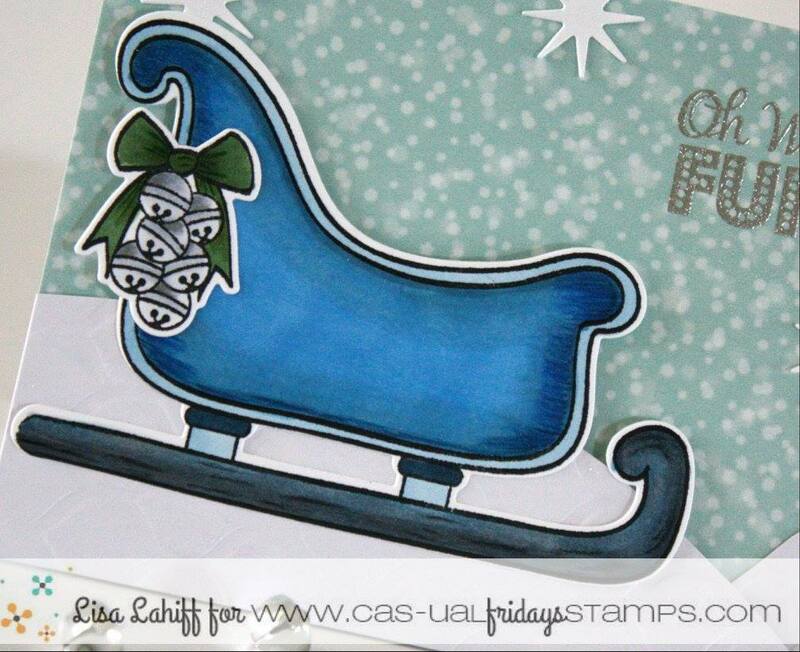 Girl Friday Lisa has a darling Christmas card for you today! She used some fun stuff from our brand new Holiday release. I love that blue sleigh! and a fun little snowflake from Funky Flakes Fri-Dies. She used copics and prismacolors pencils to get those pretty colors. This is TOTALLY darling card. Lisa, you have done a fantastic job on it! 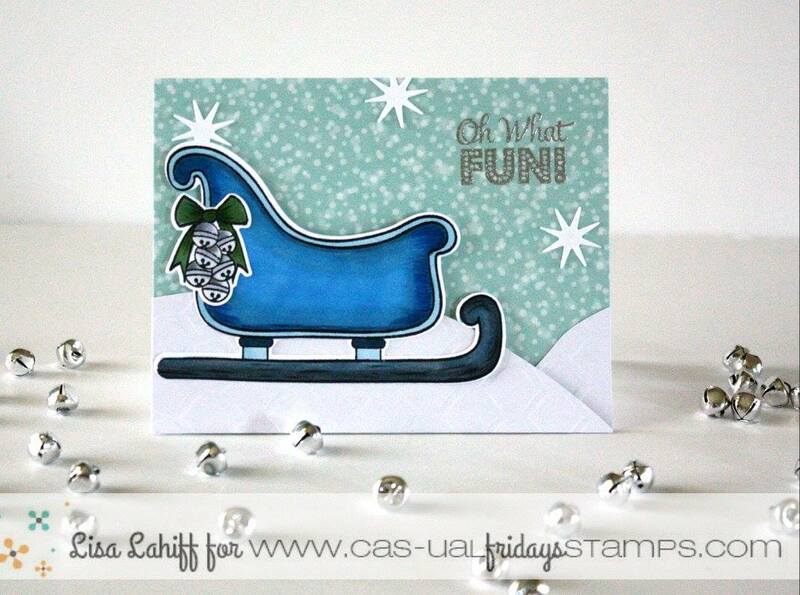 Love that cool frosty blue and that fantastic sleigh! Oh wow! I love this sled in blue! !